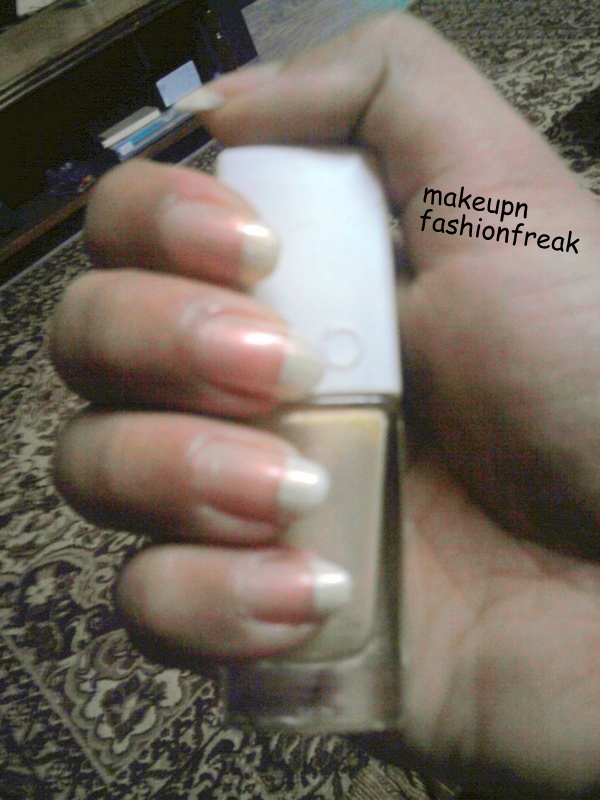 GETTING BORED TO HELL, I DID THIS FRENCH MANICURE (I THINK I DID THIS FOR THE FIRST TIME, I MEAN IVE TRIED IT MANY A TIMES BUT THIS TIME IT CAME OUT PERFECTLY) AND I THINK IT WORKED OUT REALLY WELL..
Wow, you'v got lovely oval shaped nails! I'm used to square shaped ones now that its difficult for me to go back to oval even though I am craving for oval shape nails ever I've seen Rihanna with oval shaped nails lol. Beautiful french manicure! Love it! That's perfect !! I love it!! U have done them so beautifully that they look like your real nails only.. This is perfect! What nail polishes did you use?